On Sale Now! Save 9% on the Plastic Flower Pots - Pack of 96 by Garden Depot at Tulips Orchids. MPN: K_HB424_96. Hurry! Limited time offer. Offer valid only while supplies last. 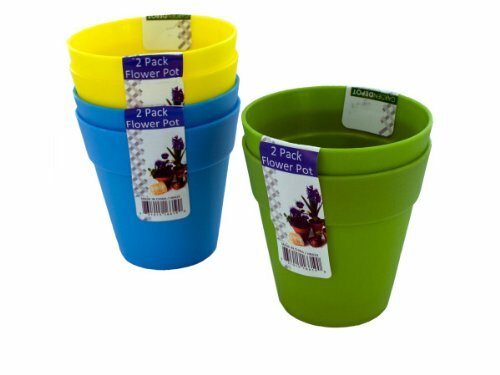 Great for adding a burst of color to a windowsill, table or the outdoors, this 2-piece Flower Pots Set features small plastic pots in solid colors. Approximate Package Weight: 18.24 lbs. If you have any questions about this product by Garden Depot, contact us by completing and submitting the form below. If you are looking for a specif part number, please include it with your message.